Biogerontology is the study of slowing down or reversing the process of ageing, to extend both the maximum and average lifespan of a human or animal. We, in the industry, refer to this study as anti-ageing. The most common perception is that anti-aging is a way of getting rid of wrinkles and plumping tired skin. A shot of Botox around the eyes, a squirt of collagen into the lips et voila!, the ageing process is stopped in its tracks. this within a spa or wellness environment? Firstly, we need to understand what beauty, wellness and aesthetic environments are perceived as. What is the difference between a salon, spa and clinic? Traditionally, salons were seen as the spit and polish of the beauty industry. Stylists and nail artists buzzed around in vibey spaces creating a look which was visually appealing. 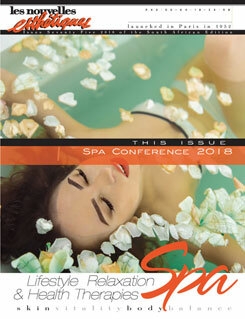 Spas then took the clients’ treatment up a notch. 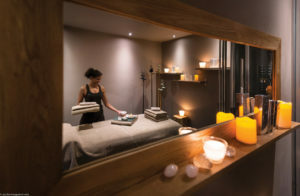 Here the mind was soothed and tense muscles eased with water, mineral and essential oil treatments, performed in a luxurious, harmonious environment. and collagen but we all knew someone who had something done. So what happened? Why has anti-ageing become a buzz word? There are a few contributing factor to the rise in popularity of a process previously regarded as a wicked secret. Science has infiltrated the beauty industry to such an extent that beauty products no longer serve a singular topical purposes. Moisturisers can stimulate collagen production, serums offer sun protection, even lip balms are known to plump. Beauty has moved from the surface to inside. Technology has broken the barrier in healing. Fancy machines have been designed to shine light, project lasers and freeze fat. There are radio frequency machines, ionisation machines and wakeup-tired-fibroblast machines. No self-respecting salon or clinic can be seen without a blinking light, laser shooting machine in their possession. Its technology, darling. service offers convenience and better time management. minds and bodies at the same time. Here’s where hotels, resorts and spas need to pull up a chair and listen. Our entire bodies age. Our minds age. Therefore, by default, anti-ageing procedures should target more than wrinkly faces. It should focus on the entire being – skin, mind and body. The question now being raised is how do we combine the efficacy of modern technology with healing personal touch offered by a traditional spa. 1. Change your language. The term anti-ageing can only apply to the medical field where facelifts, tummy tucks and breast lifts are performed. Non-surgical procedures need to be referred to as skin rejuvenation. Terms like a youthful appearance, a fresh look or even a softer feel are also geared towards clients’ feeling better about themselves as well as looking better. less wrinkles instills confidence in a client, then give them that youthful glow in a beautiful, safe environment. 3. Rejuvenation is not a quick fix. One cryolypolysis session while on a 4-day holiday, will not solve a client’s long-term problems. Holiday packages should be designed with limited client visits in mind. Unless your resort is in an urban environment where your clients constitutes 60% of your database, design treatments around one-off visits. as the side effects when one is combined with another. Once again, design packages wheretreatments are varied to cover a large audience but still compliment each other. 5. Rejuvenation is a lifestyle change not a treatment. Holistic healing is multi-faceted. Healthy eating habits should be included in treatment offering. Introduce a juice bar into your spa or offer vegan diets as a menu option. What we put into our bodies affects what we see in the mirror. Yoga retreats have also become a burgeoning industry. Tap into that market. You’ll be offering clients more than your competitors which is a staple in business. and skin combinations, or hair colour and spray tan deals. on the market. Hotel chains or luxury groups have the financial means to invest in technology so don’t be afraid to allocate that budget accordingly. budget where it’s needed. Good staff means great service which ultimately translates into happy clients and healthy profits. 9. Products should be available online. Products sold to a client should also be available online. One jar of cream sold solely for the purpose of making a quick buck doesn’t serve anyone’s need. Clients will lose faith in the product and ultimately in your business. 10. Maintain the essence of a spa. The fundamental function of a spa is healing. And nothing heals a tired soul better than human touch. fulfilment in a relaxing welcoming environment. 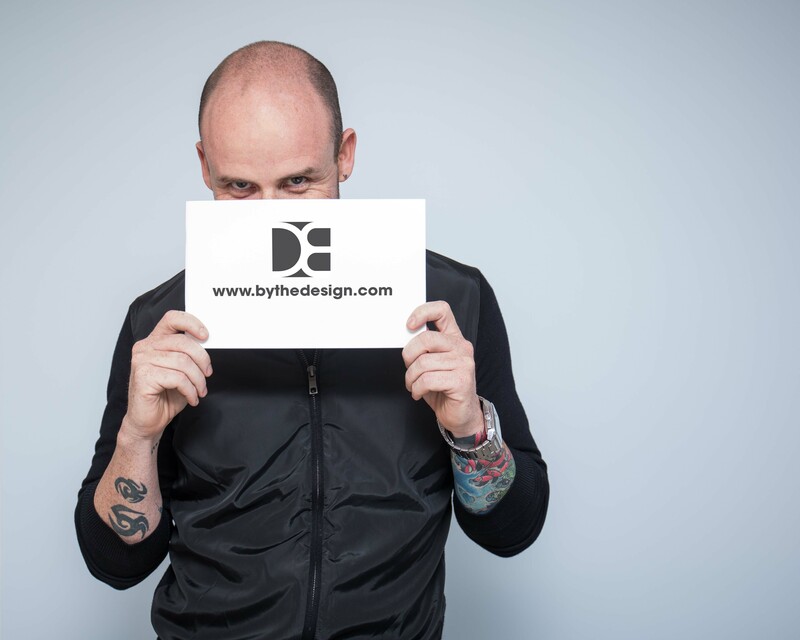 About: Duncan Pape has 17 years experience in the fashion and beauty industry encompassing retail, distribution, marketing, training and spa concept and development. He’s worked as a brand manager for various spa groups and the South African branch of Germain de Cappuccino. A career highlight was working on the with the product development, design of and training for Terres D’Afrique. 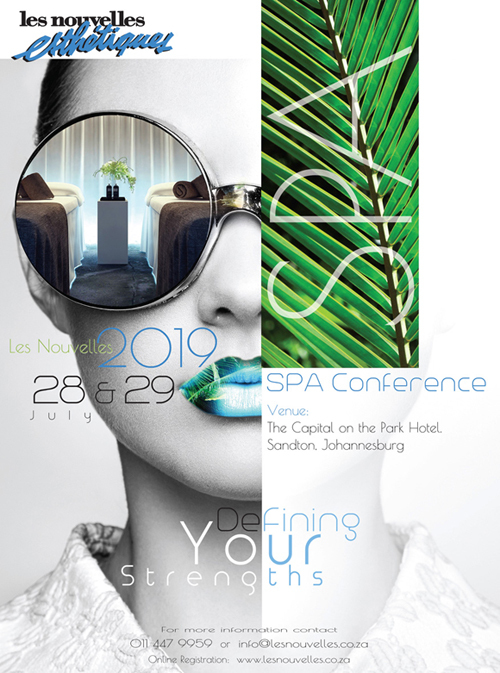 He was a major contributor to the concept and development of Langaro Lifestyle Centre in Camps Bay which won the Les Nouvelles Esthetiques Day Spa Awards in 2014 and 2016, and Best International Emerging Spa in Africa Award 2016. In addition to managing his company By The Design, which builds spa brands, he currently freelances as a spa consultant at Langaro where he lives his passion for training therapists and developing treatments. protocols.